Cinco de Mayo (Spanish for "5th of May") commemorates the victory of Mexican forces over the French in the Battle of Puebla on May 5, 1862. The date is observed in the United States and other locations around the world as a celebration of Mexican heritage and pride. In this section you will find a large collection of glitter graphics and comments celebrating Mexican heritage and Cinco de Mayo. Images include Mexican flags, Sombreros, maracas, serapes, Mexican dancers, traditional Mexican food and drink such as margaritas, cerveza, etc. 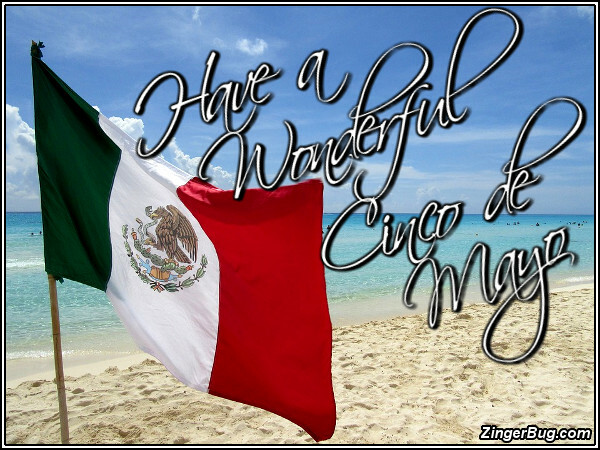 So send your friends a greeting for Cinco de Mayo and remember... Viva Mexico!